Three individually-sealing compartments with one convenient lid. 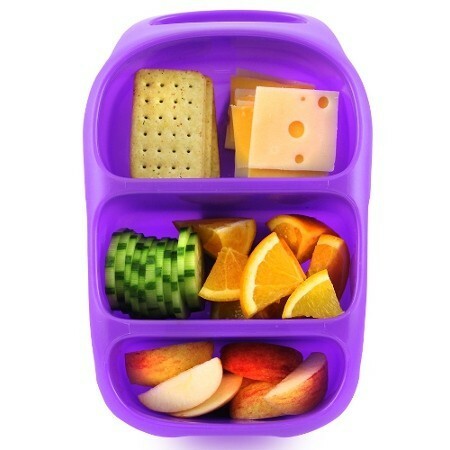 Keep track of, wash, store and pack lunches without worrying where all the parts are! Note, the Bynto is not leak proof. Goodbyn Bottle (sold separately) fits in the middle compartment. Does not include stickers. Goodbyn waste free lunch box designed for versatility for kids, parents, and our planet. Free from BPA, PVC, phthalates and lead. Three compartment Bynto with the convenience of one lid. Goodbyn products are not guaranteed to be leakproof (except the Goodbyn dipper container). This Bynto contains no drink bottle or stickers (both sold separately). Three compartments and only one convenient lid to keep track of. Dimensions and volumes (length/width/depth): 27.3 cm x 17.1 cm x 6.4 cm (665ml). 2.1-cup, 2-cup, and 1-cup compartments. Top container: Perfect for leftovers, a sandwich, sliced apples, oranges, even a small banana. The Bynto lunch box will fit inside the Goodbyn insulated lunch bags along with a Goodbyn ice pack. The leak-proof Dipper fits inside the Bynto. 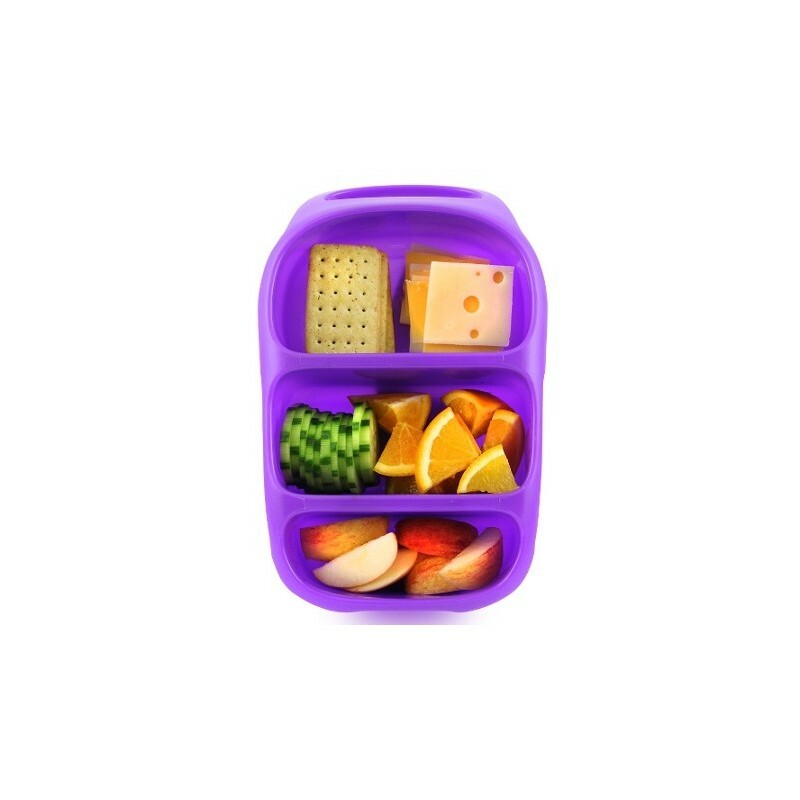 Browse our other BPA free lunch box options. See our lunch box size guide showing which containers fit in which lunch bags and boxes. My 3 kids have used the original Goodbyn lunchboxes (the ones that came with the stickers) for the last 3 or 4 years. I felt it was time for a new set and had assumed these were the same as the originals with the exception of the inside layout. They have arrived today and we are so disappointed. They are 2/3 of the size of the original goodbyns! There is no way we can fit what we currently do into these tiny things. If you have the awesome original goodbyns and are looking to replace these be aware these are not anywhere near the same size. The kids say they look like baby lunchboxes and don't want to use them, what a waste. We own several of these lunch boxes (purple, brown and blue) which are now over two years old. The kids love them. Once sealed properly - it took the kids a couple of times to learn how to hear and feel the lids properly close - they are really good at staying shut in busy children's bags!